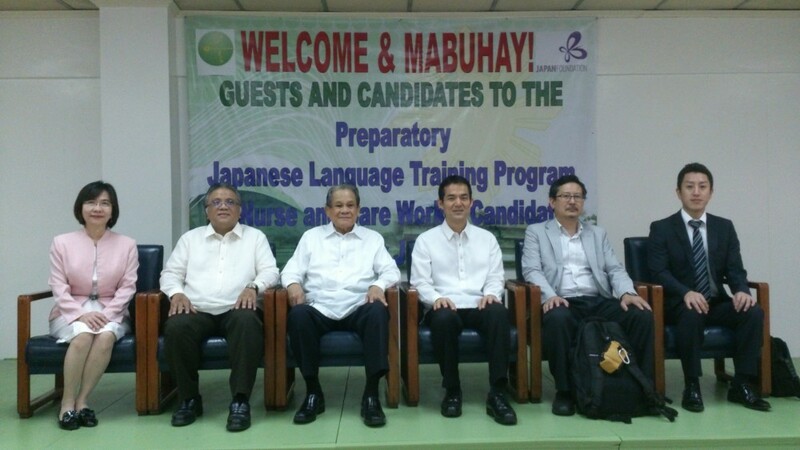 The Nihongo Center Foundation (NCF) entered into an agreement with the Japan Foundation Manila (JFM) to conduct preparatory Nihongo training for about 90 Filipino candidates bound for nursing-caregiver jobs in Japan. 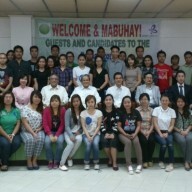 This group of students represents about one-third of some 300 nurse-caregiver candidates who will be deployed to Japan under an ongoing Japan-Philippines Economic Partnership Agreement (JPEPA) signed in 2006 by the governments of the Philippines and Japan and ratified as a treaty by the Philippine Senate in 2008. 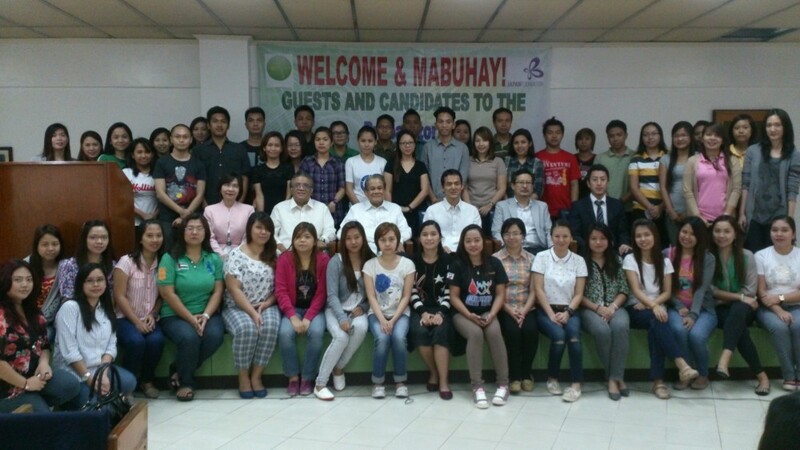 This group of trainees were chosen by the Japan International Corporation of Welfare Services (JICWELS). 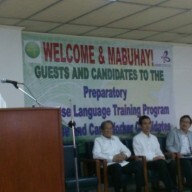 The rest of the candidates undergo training at the TESDA under the auspices of JFM. It is noted that the number of Filipino caregiver-candidates has been increasing yearly due to strong demand from Japanese hospitals and hospices. 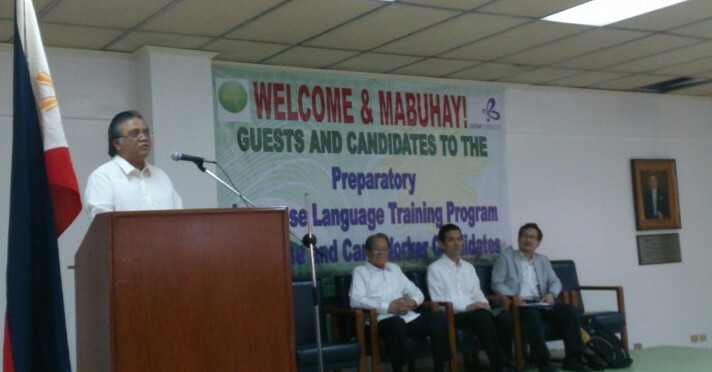 As a result, the implementing agencies for the Nihongo Training component, JFM and the TESDA have been hard pressed in coping with the requirement for teaching the Japanese language. 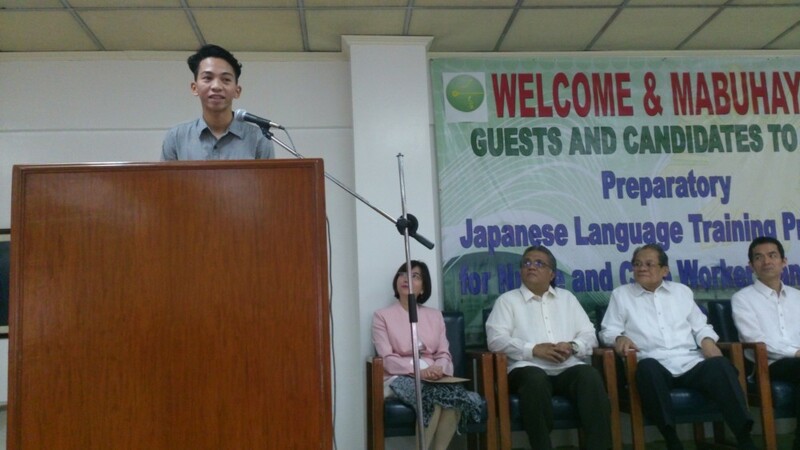 In 2014, NCF was tapped to provide Nihongo teachers and classroom facilities to augment their limited capacities. 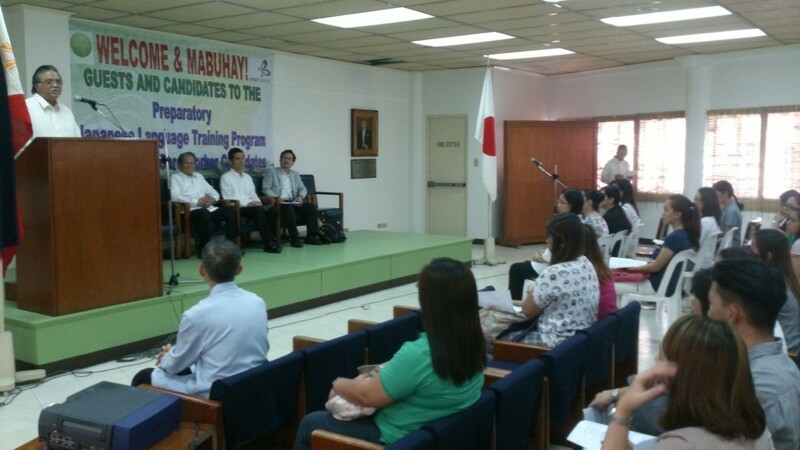 The designation of NCF as the Nihongo training institute for Japan-bound Filipino nurses and caregivers reflects the outstanding regard of the Government of Japan for the teaching staff, curriculum design and facilities of NCF in Manila. For this batch of caregiver-candidates, NCF put up 5 classes to accommodate the 90 students which started in November 2014 and will end in May this year. At the end of the course, all the candidates are expected to pass the conventional Level 3 (3級) which is currently designated as N4 level of the reglementary Japanese Language Proficiency Test administered by the Japan Foundation. 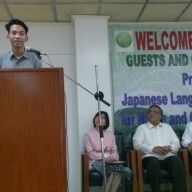 In the current batch, about 20 students with some prior knowledge of Nihongo are expected to pass N3. 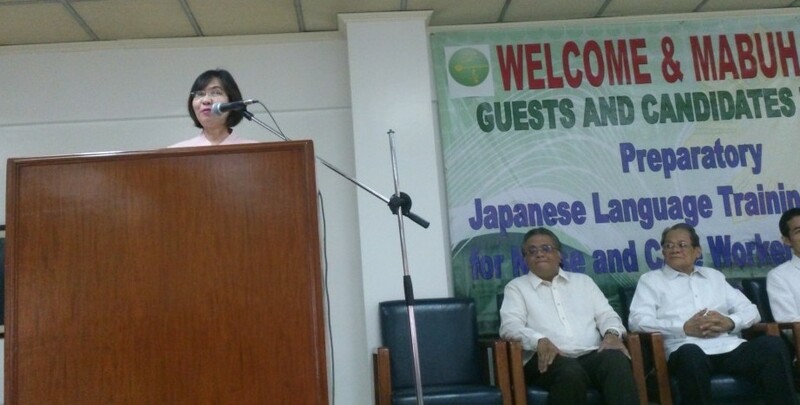 Opening ceremonies for the NCF classes were held on November 17, 2014 at the Jose P. Laurel Hall, Philippines-Japan Friendship Center Manila along R. Papa Street (University Belt), Sampaloc, Manila. Guests of Honor were Amb. Benjamin F. Sanvictores, Chairman of the Board of Trustees – NCF; Mr. Philip B. Sanvictores, NCF President; Dir. Nimfa de Guzman, Director for Welfare & Employment, Philippine Overseas Employment Administration (POEA); Dir. 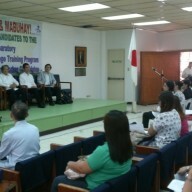 Shuji Takatori, Japan Foundation – Manila; Mr. Hiroshi Kozai, Director for International Operations, Japanese Language Department, Japan Foundation Tokyo; and Mr. Hiroyuki Enoki, Labor Attaché, Embassy of Japan in the Philippines. 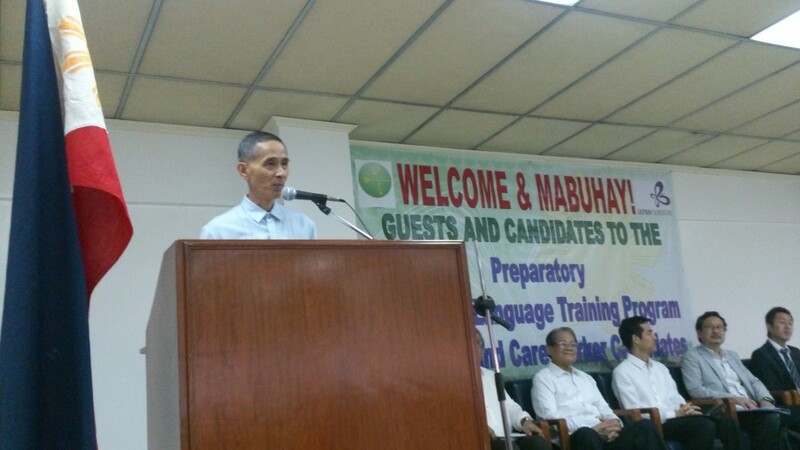 Speeches were delivered by President Sanvictores, POEA Dir. 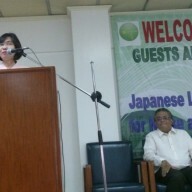 De Guzman, Japan Foundation Manila Dir. 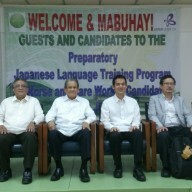 Takatori, Mr. Enoki, Labor Attaché of the Embassy of Japan, and Prof. Kenjiro Ogata, Academic Advisor of the PIJLC-NCF. 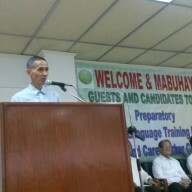 Dr. Edwin P. Mojica served as Master of Ceremonies.